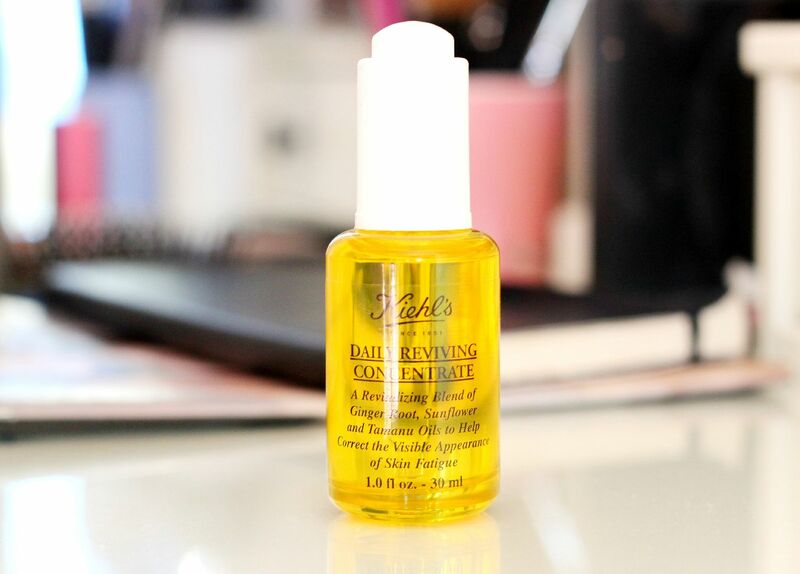 First impression: Kiehl’s Daily Reviving Concentrate. Owners of one of best-known overnight oils – the midnight recovery concentrate – have just launched the daily reviving concentrate which looks to me to be the little sister of the night oil. Applied in the morning, it is meant to protect, re-energise and revive during the day. I’ve been trying it daily for a week – not long enough to have deep feelings for it, but long enough to deliver a first impressions. The main ingredients are ginger root, sunflower seed and tamanu oil. The smell – It smells like ginger, as in really fresh and a bit zingy. The texture – Really, really light for an oil. As in this would be the dream oil for anyone who hates that greasy feeling. If you’ve tried the midnight recovery treatment, the feeling is similar in terms of the almost dry oil texture. I do think it has silicones in it which help it to absorb really quickly. I’ve been applying three drops straight after cleansing and toning in the morning and I can touch my face 5 minutes later and it feels fine. I then apply my normal moisturiser about 20 minutes later. The results – this doesn’t seem to be life changing to me, but this is the ideal oil to use in the morning. If you want to add an extra boost of hydration in the morning without having your face feel heavy then this is perfect. It doesn’t get in the way of makeup, and I can see every skin type liking this.